Single parents can face some difficult parenting decisions in part because they do not have someone to share parenting responsibilities. Having someone to “share the load” helps decrease stress, increase self-esteem, and reinforce ideas that what the parent is doing is beneficial to a child’s long-term growth and development. What happens, though, when parents are separated by a prison sentence? Essentially, the parent “outside the razor wire” becomes a single parent with only intermittent input into the decisions that parents need to make every day when it comes to raising their children. The 2011 prison population report released by the U.S. Justice Department indicates there are approximately 2.26 million people incarcerated in U.S. prisons. Conservatively speaking, there are at least five persons directly affected by each person’s prison sentence, bringing to light 11.3 million people who are “serving time” on the outside of each prison. Family members often realize that not only does the justice system not have a place for them, but also their communities at large do not recognize their needs or issues. Children have difficulty coping with a loved one in prison, there are financial issues to consider, and there is the general negative perception of families of prisoners by not only the justice system and law enforcement, but by the general public as well. Kerry Maldonado from Fort Worth, TX agrees. Her son has autism and responded best to her husband. “He would eat whatever Daddy handed him. He’s back to peanut butter sandwiches only and he lost over 20 pounds in the last several months.” Her husband has been incarcerated numerous times, resulting in lost opportunities with his older children as well. Throughout a 12-week parenting program, inmates discuss appropriate interaction with children, learn new parenting skills, and are able to have one-on-one visits with the child (pending permission from the other parent or guardian). “The good thing about the support we’re giving here is that the dads are better prepared to be parents,” Toth says. Rainbows is another option available in many communities. Rainbows is a peer support group that allows children who are experiencing loss or transition to work through their feelings in a positive, nurturing environment. Even though the program is not designed specifically for children of prisoners, the concepts of grief and loss translate well and help children cope. The Rainbows website offers a complete listing of agencies and communities trained in the Rainbows curriculum. Toth admits that one of the leading areas of concern that she sees is in support for the primary caregiver. “Every single night you’re a single parent, even when you know you’re not single.” Added to that is the stress of running the household, learning how to fill non-traditional roles, such as minor car repair; and adjusting to the high costs of phone calls from institutions, plus their loved ones asking for money for basic necessities. Few support groups exist for prison families and compounds the problem of isolation and mental stress. The ones that do exist are not widespread. Online, the community PTO has grown to more than 50,000 members and is considered a favorite online source of information among inmate families. Even families who do not have regular computer access stay in touch via their community library or a friend’s computer. The community started after a federal inmate grew weary of seeing family members (and inmates) mistreated by the prison system. On the surface, it may seem as if prison families face the same difficulties as the “traditional” single parent in America. In fact, it may be even more difficult for prison families due to the lack of support and the willingness to discuss issues openly. Each of the families interviewed felt a lack of community support outside of family, friends, or online support. When the husband is the primary wage earner and then imprisoned, replacing that income is difficult. Even if the family is owed child support, prison systems are not designed to collect it. If the family is still intact, child support is not a consideration. Financial issues quickly rise to the top as a need in prison families. “A prison sentence in America today is a ticket to poverty, particularly if that person was contributing financially to that family,” says Quinlan. By providing social service support, Families in Crisis can help ward off potential issues as they occur and before they reach the crisis point. There are many state and local community agencies that help families when income is limited. There are eligibility requirements for the bulk of the programs. An information and referral program, such as 2-1-1 can help point families in the right direction. 2-1-1 is a three digit dialing code similar to 9-1-1 and more than 55 percent of the nation has access to 2-1-1 as the primary number to call for information about community, state, and federal programs. The 2-1-1 website has a national status map on the number’s implementation in every state. In addition, www.airs.org has a directory of information and referral providers for areas that do not have 2-1-1 services. All three families interviewed for this article list phone call prices as an obstacle to communication. Each correctional institution contracts with an outside provider to allow collect phone calls home. The provider often charges unusually large access fees, resulting in millions of dollars paid by prison families each year. For example, California receives approximately $35 million each year from phone call commissions, according to the Los Angeles Times. Sending mail can be challenging as well. All mail to or from a correctional facility is monitored, with some incoming mail rejected. The primary reasons for monitoring mail are related to security, as well they should be. Some families, however, complain that items such as children’s crayon drawings are rejected as contraband, making it difficult for children to continue valued relationships with their parent. Despite the overwhelming odds, relationships can and do thrive under these conditions. The key, Quinlan and Toth agree, is communication. Couples who are willing to work through the issues they faced outside of prison, as well as the ones that may arise after prison, stand a better opportunity to stay together than couples that do not. While congressional leaders debate policies that directly impact prison families, the growing consensus is that something needs to be developed as a cohesive support system for these families. In 2002, Wade Horn, Ph.D., the Assistant Secretary for Children and Families, U.S. Department of Health and Human Services spoke at a plenary session for the Serious and Violent Offender Reentry Initiative Grantee Conference. Although his underlying message was responsible fatherhood, many of his remarks dealt with the impact of incarcerated fathers on children and families today. There is hope for families of prisoners, though. As more leaders, like Horn, recognize the need for underlying social service support for prison families, parenting and mentoring programs will increase throughout the U.S. There is no estimate or timeline for many of these activities, although experts agree that change is coming sooner rather than later. Despite the difficulties of raising children while one or both parents are incarcerated is difficult, yet manageable. More prisons, like Toth’s are developing parenting curriculums designed to teach skills and increase interaction while families are separated. This movement also gives rise to hope that more efforts will be concentrated on the outside communities and keep families together upon the prisoner’s reentry into the community. I read this article and found it very interesting, thought it might be something for you. 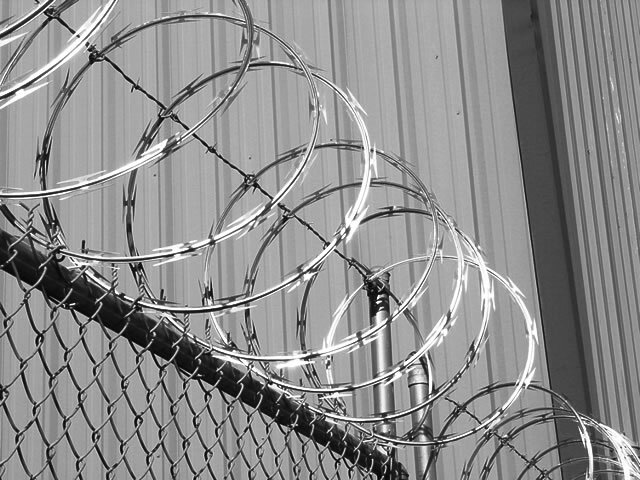 The article is called Incarcerated: Parenting Outside the Razor Wire and is located at http://www.imperfectparent.com/articles/parents-in-prison/.